Data from a new CDC report, which was analyzed by "The New York Times," shows 11% of all school-age children have received an attention deficit hyperactivity disorder diagnosis at some point in their lives - a 16% increase since 2007. Nearly one in five boys in high school has been diagnosed with ADHD, and nearly two-thirds of children with a current diagnosis of ADHD are taking medication for it, like Ritalin or Adderall. In this segment with Wolf Blitzer, Dr. Sanjay Gupta explains that the self-reported survey may not accurately indicate the number of children with ADHD. Former Tucson, Arizona, mayoral candidate Shaun McClusky is leading a campaign to make shotguns available to needy and willing residents as a way of reducing crime in three troubled neighborhoods. Miguel Marquez spoke with McClusky and others in the city about the Armed Citizen Project and found a mixed response. McClusky says the idea is not just to arm and train, but also to warn lawbreakers that residents are protecting themselves with the weapons. "By flyering the entire neighborhood and making the entire neighborhood aware that this program is coming to your neighborhood, the criminal elements are bound to see the flyer and say now what? Which house has a gun? Which house doesn't have a gun?" As investigators scramble to figure out who killed two Texas prosecutors, suspicions abound over whether the Aryan Brotherhood of Texas played a role. But a series of events leading up to the killings have raised questions about the group's possible involvement. A program designed to arm residents who live in dangerous communities is now operating in Tucson, Arizona. Gabby Gifford's husband, Mark Kelly, calls it "a distraction from the debate." Kelly, whose wife was shot in a 2011 shooting rampage in Tucson, compares the plan to the NRA's proposal of arming teachers and putting more guns in schools to make them safer. He's against the idea and is pushing for universal background checks as part of the solution to lowering gun violence in the country. A mother who was with her husband and five children in St. Peter's Square for the holiday helped lift her young son with cerebral palsy, Dominic, into the arms of Pope Francis for a blessing after Easter Mass. Christiana Gondreau describes the touching moment to CNN's Wolf Blitzer. "There was not a dry eye around us. It was really, really moving," she says. "Not in a million years, really, did I expect to end the Easter Sunday Mass with a kiss from the pope. It was very beautiful." Former white supremacist TJ Leyden says the Aryan Brotherhood of Texas, which is being eyed in the killing of two prosecutors and the wife of one of the men, is one of the most violent white supremacist groups in the country. "These are the kind of guys that will stab you and kill you instantaneously and they won't even blink," says Leyden. He explains to CNN's Wolf Blitzer that if they're behind the murder of Cynthia McLelland, wife of slain Kaufman County District Attorney Mike McLelland, it would be significant. CNN's Gary Tuchman reports on the investigation into who murdered two Texas district attorneys. Prosecutor murder was "personal killing"
Peter Schulte, a friend of slain Kaufman County District Attorney Mike McLelland, believes the murder was personal. He tells CNN's Wolf Blitzer that crimes like this "just don't happen." "If this was a case that somebody was trying to change, they would have been going after witnesses, not the actual prosecuting attorney," says Schulte. The attack on McLelland and his wife, and the murder of county assistant prosecutor Mark Hasse "is sending quite a chill" through the law enforcement community in Texas. Schulte, a criminal defense lawyer, says he's carrying a gun more than he ever did because of the death of his friend. Will more guns reduce violence and make dangerous communities safer? Former Tucson, Arizona, mayoral candidate Shaun McClusky says arming citizens is the answer. He wants to hand out free shotguns to residents living in three Tucson neighborhoods plagued with high crime. The national campaign that started in Houston, Texas, is meant to empower, but the concept is controversial. Hear from McClusky tonight, and a local councilman who's opposed to the initiative. The plan includes advertising which areas are participating in the program, while keeping the specific homes with shotguns confidential. The intention is to keep criminals guessing which families are protecting themselves with firearms. 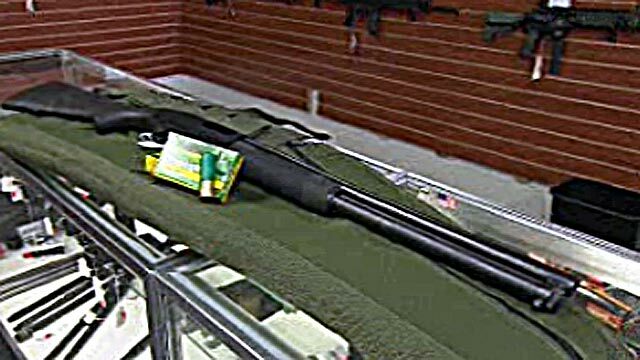 The Armed Citizen Project will give shotguns to residents who simply ask for them, provided those interested pass background checks and complete a day of training. The non-profit purchases guns with donations - McClusky says he has raised about $12,000 so far.